Sean Barrett’s watercolor painting, “Picket Fence” was recognized in this year’s National Watercolor Society’s Exhibit at the Muckenthaler Cultural Center. I like Sean’s subjects. 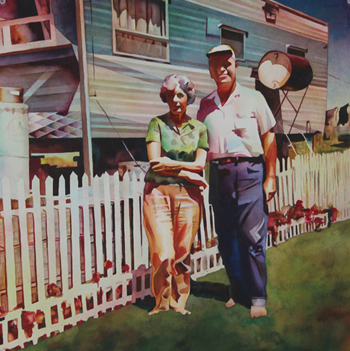 Looking at his painting, it reminds me of my grandparents who owned several travel trailers. He portrays a couple from a bygone era reminding us of simpler times and road trips across the United States.